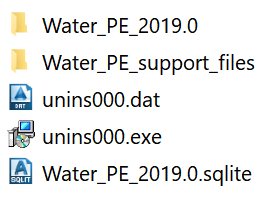 Water_PE_2019.0 – additional content package files. Water_PE_support_files – additional notes about the content pack. Water_PE_2019.0.sqlite – main database file to assign in AutoCAD Civil 3D. unins000.exe – uninstallation of the content pack (removes only noted catalogs/files). Open an example DWG file (it can be any, or create a new one). Ensure that you refer to a recently installed catalog. Note: Please pay attention to that after this step you may need to save and close your DWG file and restart AutoCAD Civil 3D before you proceed to create a new parts list. 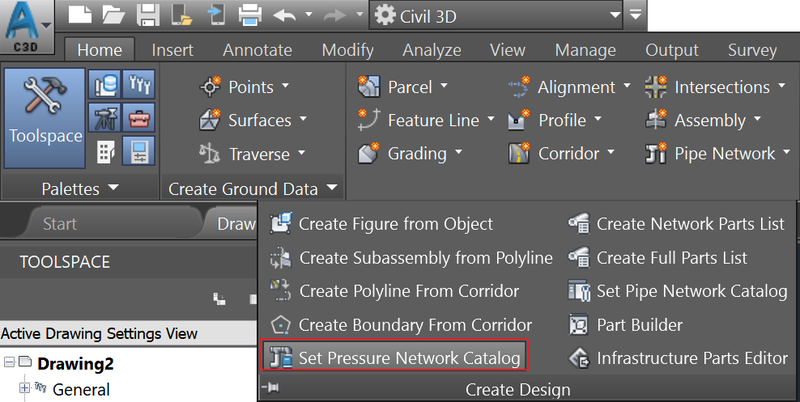 Otherwise new catalog content is not loaded (this is common behaviour of Civil 3D). 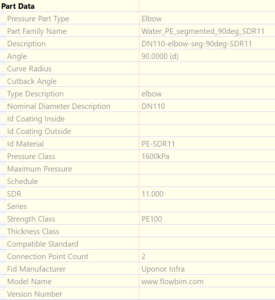 Catalog is meant for water pipeline design. 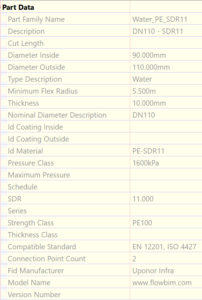 All components are based on PE material (if not otherwise noted) and material strength class of PE100. It is possible to use all components as PE80 if assumed that SDR class shifts one step. For example SDR11 refers by default to PE100 (pressure class of PN16) but when PE80 material is used then with the same SDR, pressure class PN10 (PN12.5) can be noted. Create a new Parts List. Load some pipes/fittings. 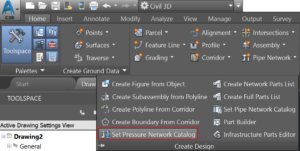 Pick a tool to lay out the pressure network: Home > Create Design > Pipe Network > Pressure Network Creation Tools. Additional ribbon tab is shown that enables you to start with a pipeline design. Design itself doesn’t differ when compare with default Civil 3D components. 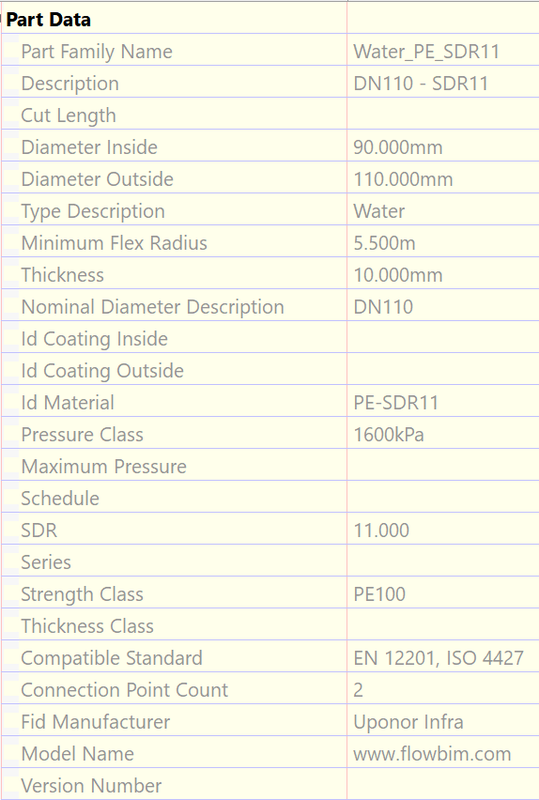 Note: Different pressure class components do have different pipe inner diameter (and also wall thickness). With PE pipes/fittings the DN refers to pipe outside diameter. During design you can combine different SDR components with each other if a particular component is not available at some specific SDR class. You should be aware that if those components are shown in 3D or with pipe inside/outside grahpics, the result may not satisfy you. All components are created based on manufacturer data sheets (or their 3D models are used directly if available). All components include various data that can be used when Civil 3D labelling tools are used (created). You can lay out the pipeline also using its flexibility feature (min radius). 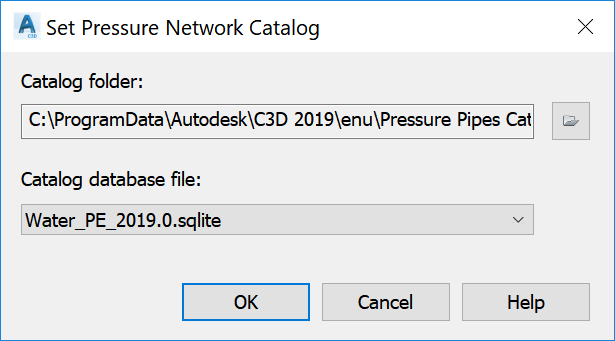 Thereafter you can use AutoCAD Civil 3D tools to check if pipelines are laid out correctly (without exceeding the minimum radius). If you would like to use the quantity takeoff tool, ensure that pay item is included with all pipe/fitting components. 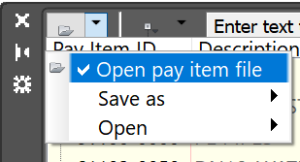 In the example file all pay items are included. But when you use those styles first time you have to check that the installed pay item file can be found from your system. 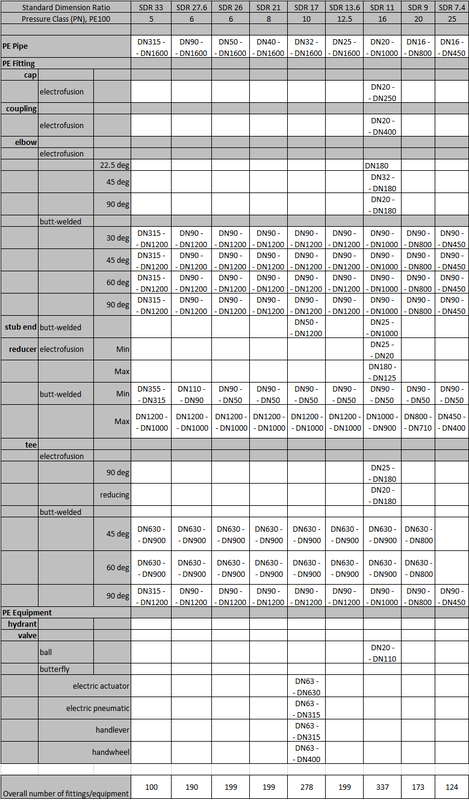 For that open: Analysis > QTO > QTO Manager. Refer with a command Open pay item file to installed file called: Civil3D_QTO_Water.csv. If you want to change/update pipe styles (Parts List), please ensure that you always include pay item ID because otherwise you are not able to create a quantity takeoff report. If everything is set up correctly you can use a tool: Analysis > QTO > Takeoff. As a result you should get a report that includes all pipes/fittings you have used in your design file. Note: Pay Item ID and Description comes from included CSV file. 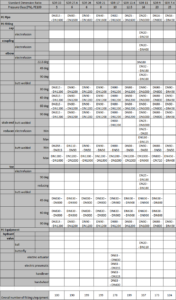 If you want to change its presentation, you have to change it from your CSV file. If you change a Pay Item ID, you have to create a new connection with your part style.